Happy Friday, everyone! Today, I am busy having my anatomy scan (finally!) and then shopping with a friend... so I thought I'd leave a light, yummy recipe with you all. 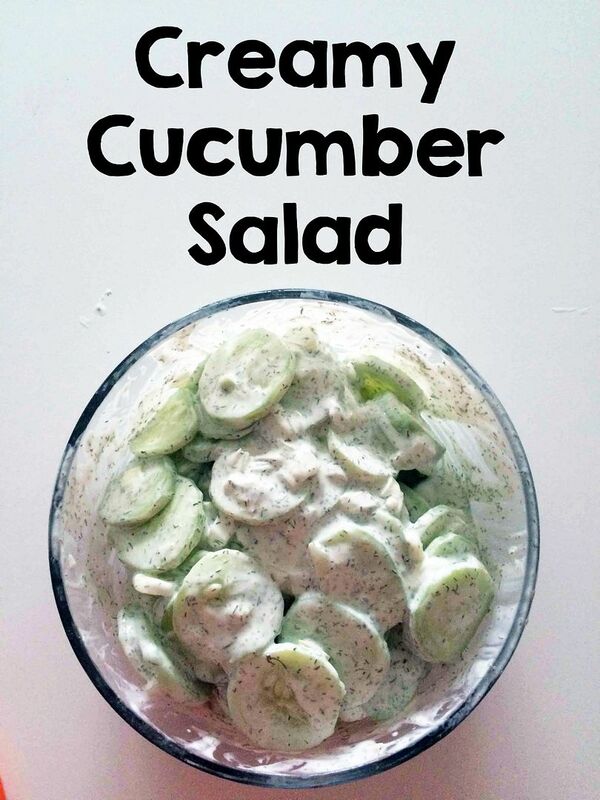 Enter: creamy cucumber salad. You may remember my crazy aversion to cucumbers early on in my pregnancy. It was awful. 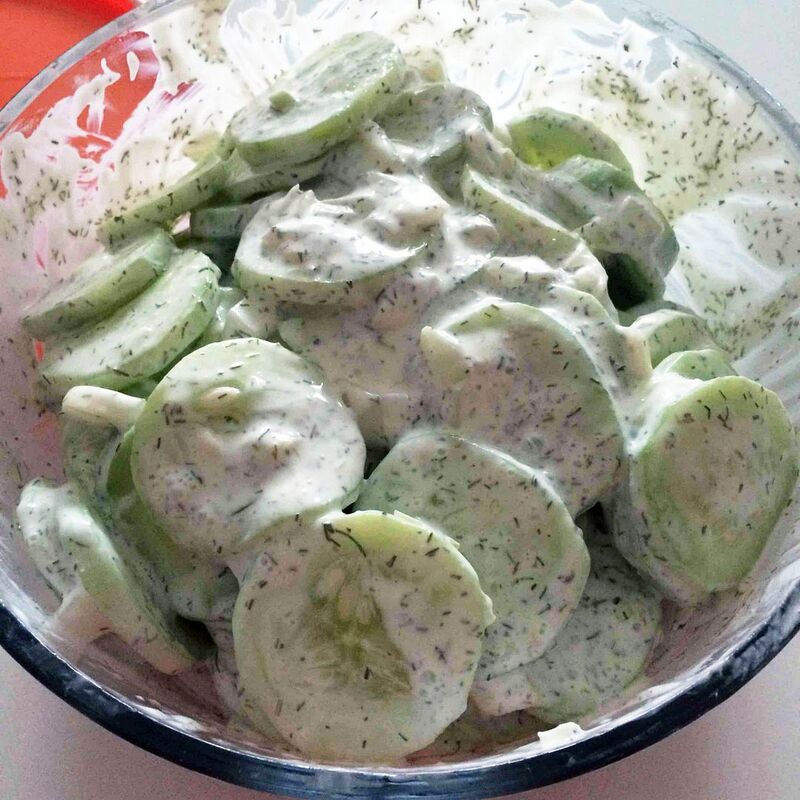 I LOVE cucumbers. I could eat them every day. But there was a time (that lasted about 15 weeks... eek!) that I couldn't even stand to be around them. 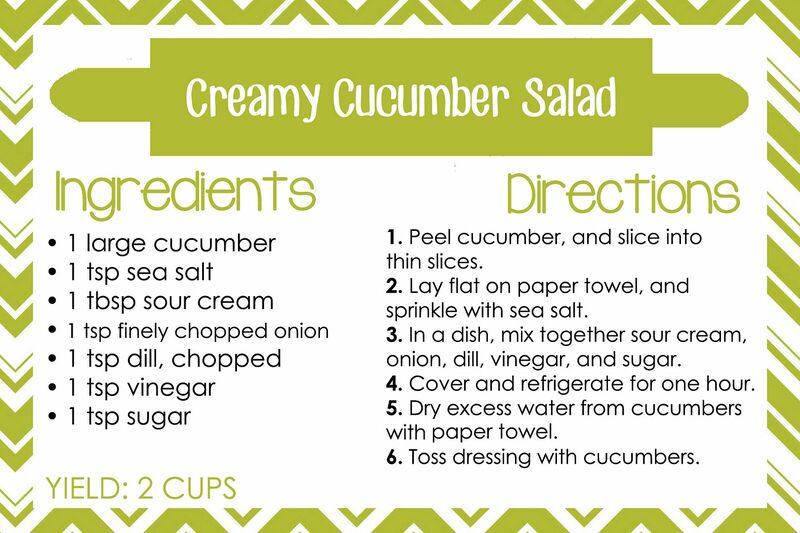 Dan would cut one for his salad, and I'd be all the way across the house and start gagging. No fun. But... no worries anymore! 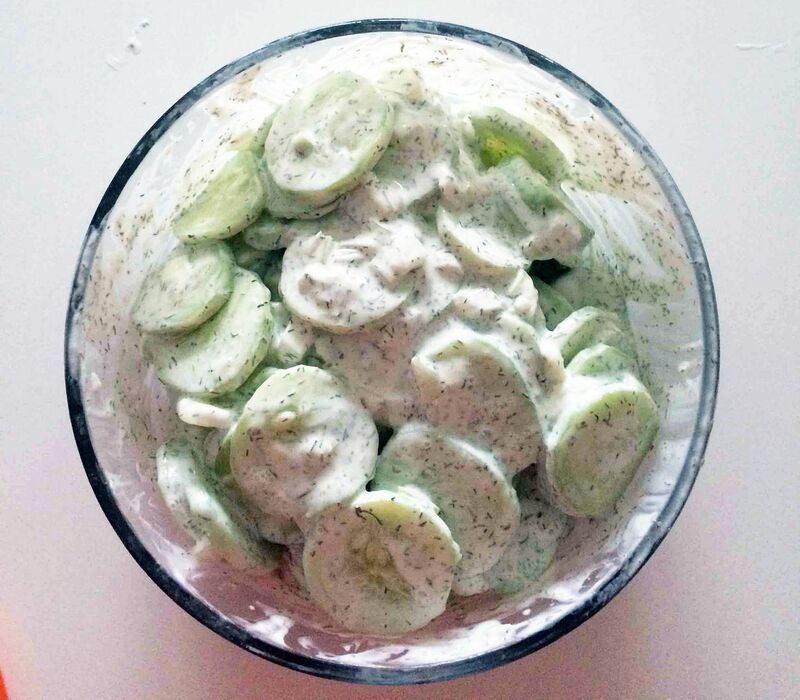 Cucumbers are back in the rotation, thank goodness! I made this recipe for Easter and for a spouses' recipe club event. 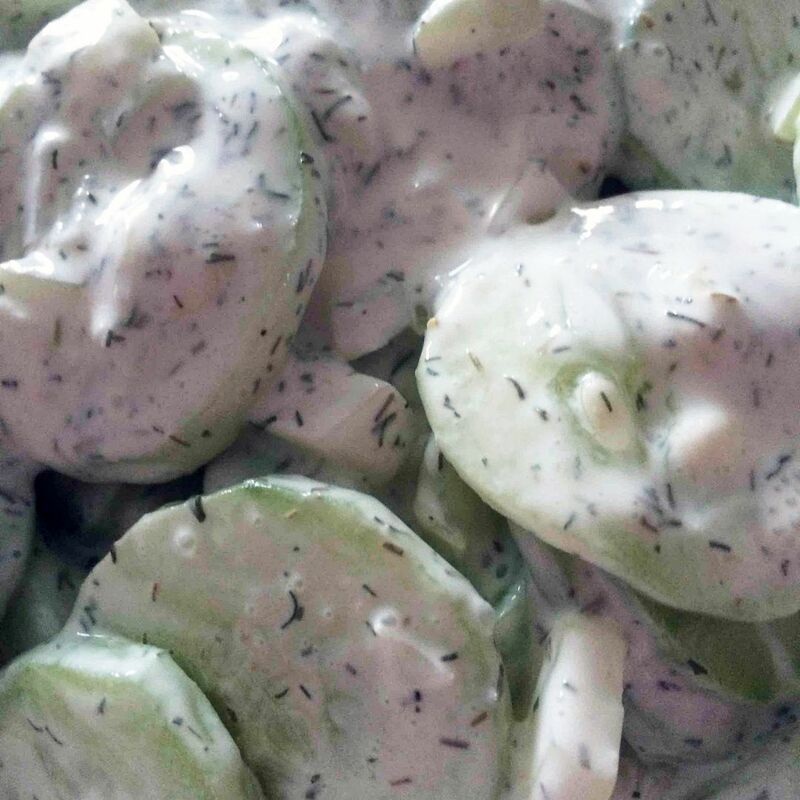 I don't know how anyone could NOT like it... unless, of course, they don't like cucumbers. Silly people. I recommend chilling this in the fridge for a while after mixing it all together... that way, the flavors can really mesh, and you'll get the best possible outcome. Or you could eat some right away because it's tough not to... it's still good, I promise. I know this from experience. Now I'm craving this again. Maybe I'll pick up some fresh cucumbers at the local farmer's market and go crazy. I love all of the recipes that you post! :) This one looks delicious.